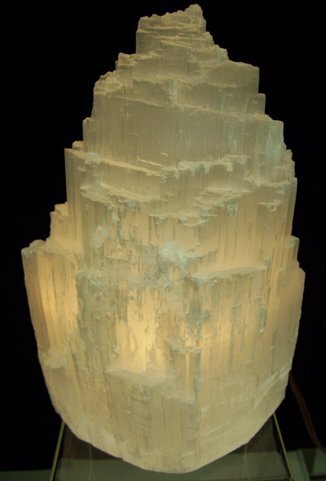 Selenite is a naturally fiber optic stone, and that makes this lamp glow! The lamp comes with an inline switch on the cord and a bulb. 10 inches tall. They are about 10 inches tall. * A smaller lamp is available for $33.00 and a taller lamp is available for $99.00.